The legend of rhythm and blues returns to play Chelmsford again! 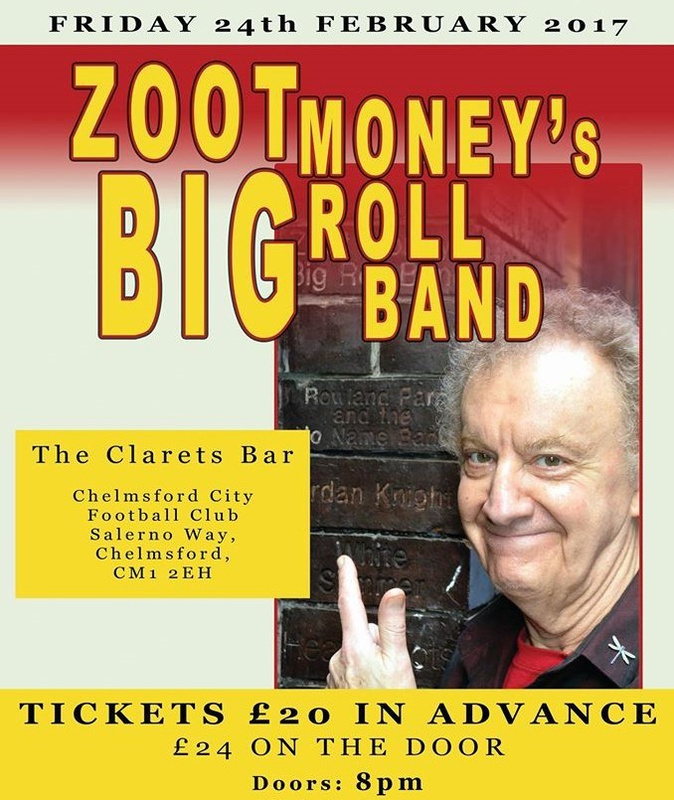 Zoot Money and his Big Roll Band were regulars at the Chelmsford Corn Exchange back in the 60's, because they were so loved. Zoot has recently released a new album and you will normally hear one or more of the original members of the Big Roll Band playing with him. Tickets are £20 in advance or £24 on the night. For tickets please call 01245 290959, visit our online shop, or email enquiries@chelmsfordcityfc.com. They are also available from the club office, Intense Records, Viaduct Road, or the Hop Beer Shop in Moulsham Street. For any payments by card on the night, there will be a £1 booking fee.